Adding a touch of gold brings a bit of sun-kissed splendor to a room as if the sun had reached in leaving a piece of golden ray behind. Sometimes a bit of gold is just what is needed. Certain fabrics remind me of this color’s transformative power. 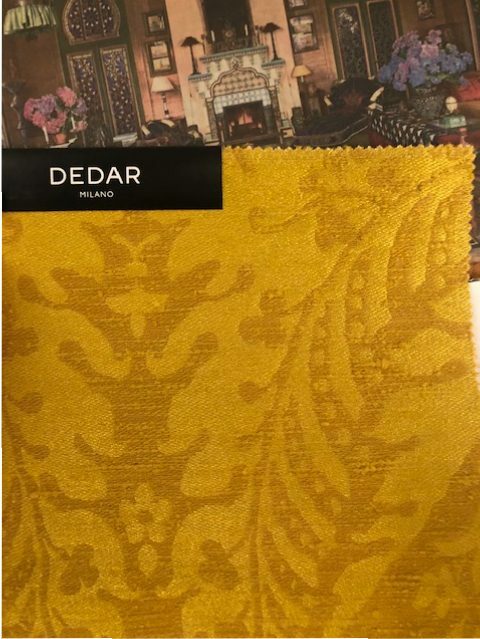 Dedar recently introduced a wonderful tone on tone damask the color of sunflowers. 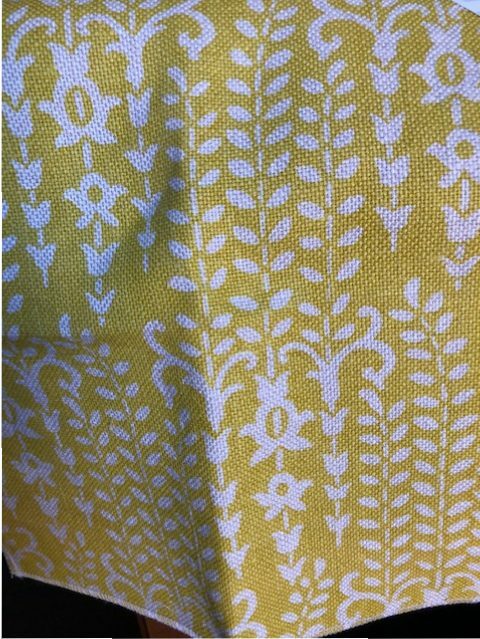 Gilberte in Sulphur by Raoul Textiles is a fresh greenish yellow linen with white leafy sprigs. In Bloom by Ngoc Minh Ngo features this pattern in a Brooklyn home. A fitting fabric for a landscape designer. Copious amounts of this sun-drenched hue adds a refreshing jolt to cool white. Gene Meyer and Frank de Biasi have incredible taste and a way with color. 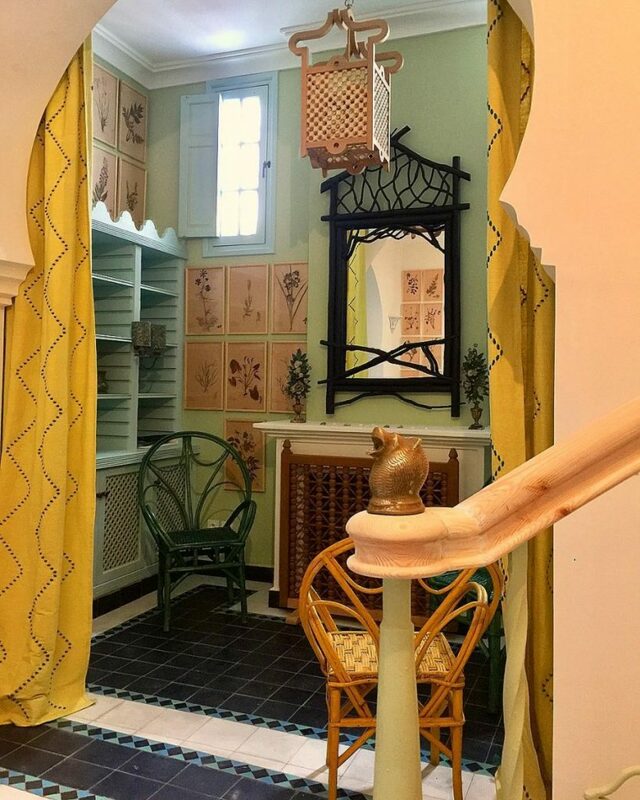 Their new home in Tangier is sometimes shown on their Instagram accounts. 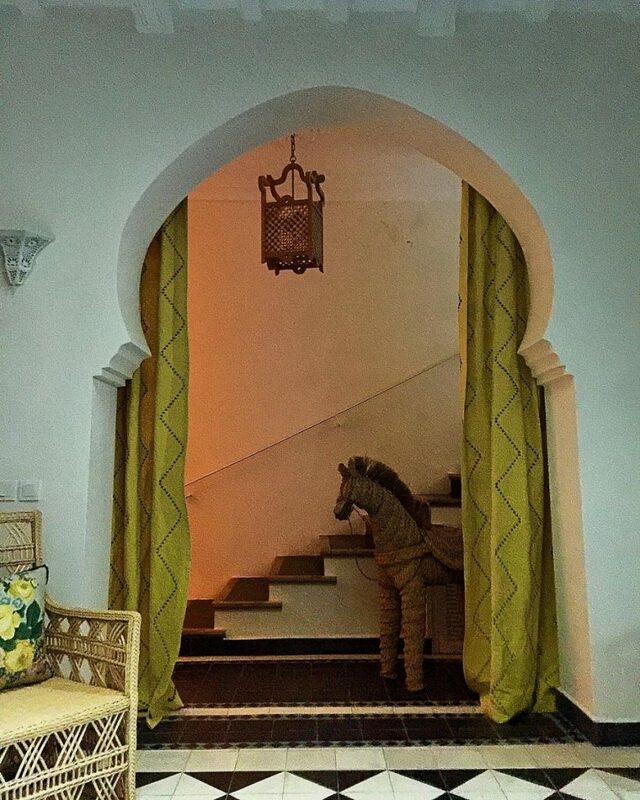 Gene recently posted this picture showing the new addition of these marigold-colored curtains. The yellow adds a punch just like adding lemon juice to brighten up food. 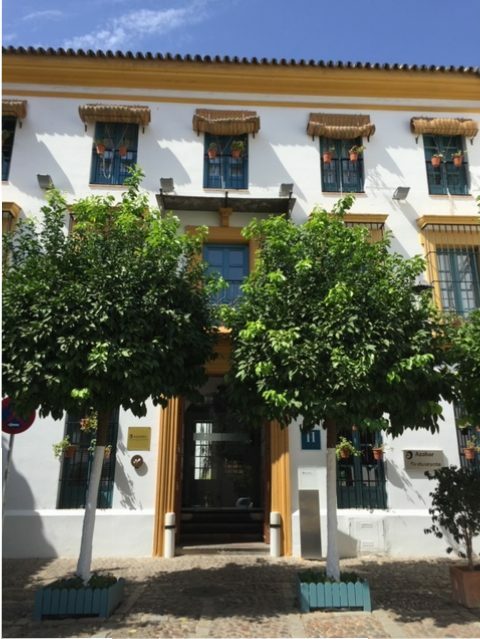 Spanish buildings frequently use marigold as a trim color. For a larger golden statement, one could take cues from this endearing space above. 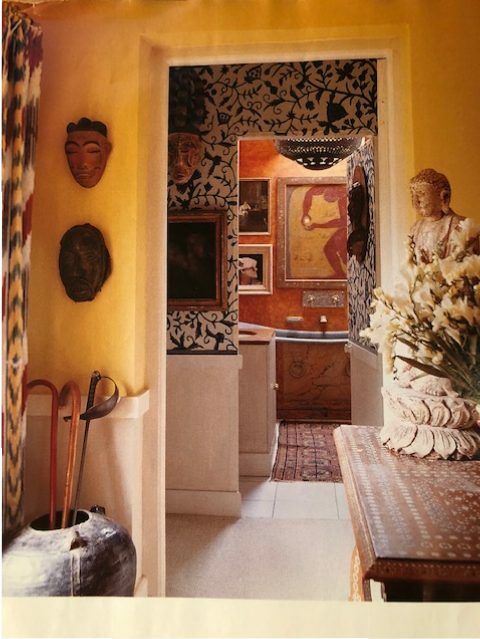 The warm walls nicely highlight the inlaid table and pair of masks. 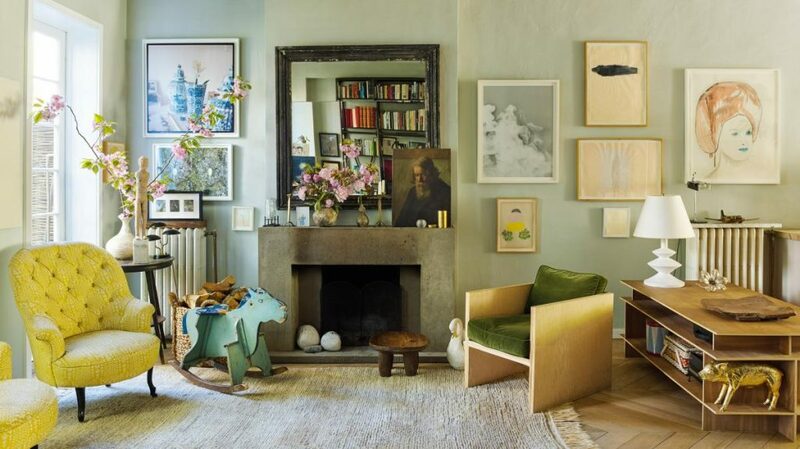 Laura Lacambra Shubert added her Rothko study to a neutral foyer bringing in a bit of sunshine. Even a tiny amount of sunny splendor brings dramatic results. Spending an afternoon many years ago with the late Beverly Field left a lasting impression. Her home opened my eyes to a world not previously imagined. 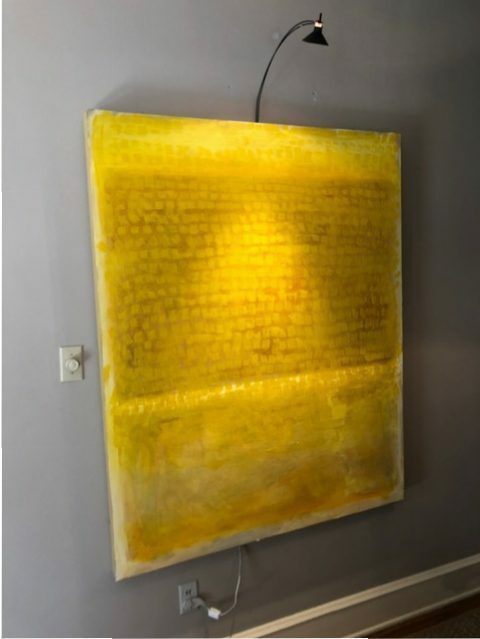 Seen in the inset photo pictured above, is a remnant of bright yellow silk that she nonchalantly draped over an oval painting. That image has stayed with me through the years. How would someone even think of doing that?, my young twenty-something-self thought. The answer is someone who would also hang Chinese shoes on the wall. Yves Saint Laurent’s homes were masterpieces. 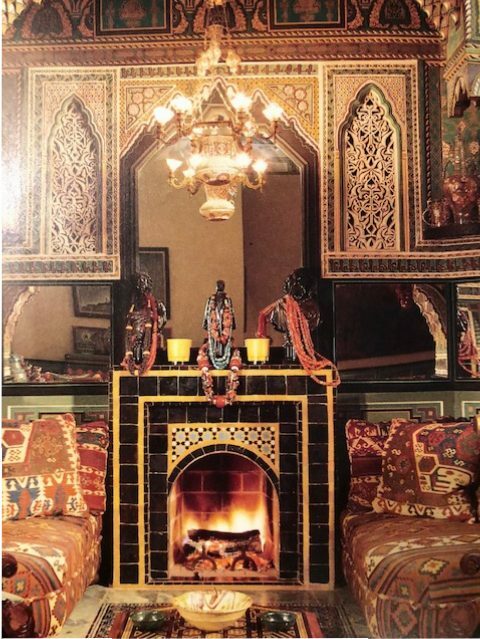 One of my favorite features in the Villa Oasis, Marrakesh, is the drawing room fireplace. The golden yellow against the black tile sings volumes. 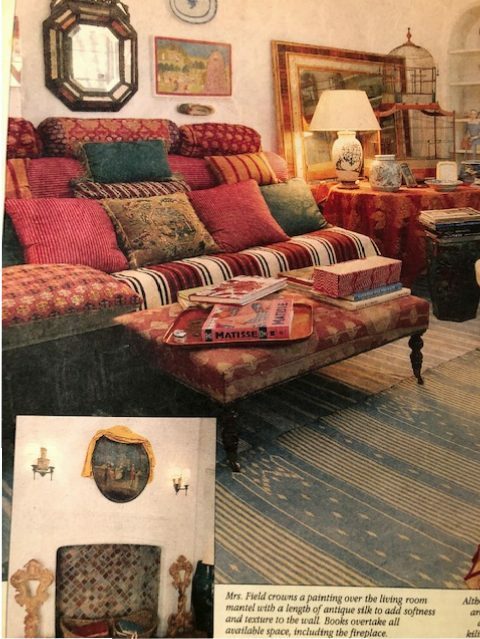 For a smaller zing, one could emulate the bedroom in Roberto Peregalli’s Tangier home. 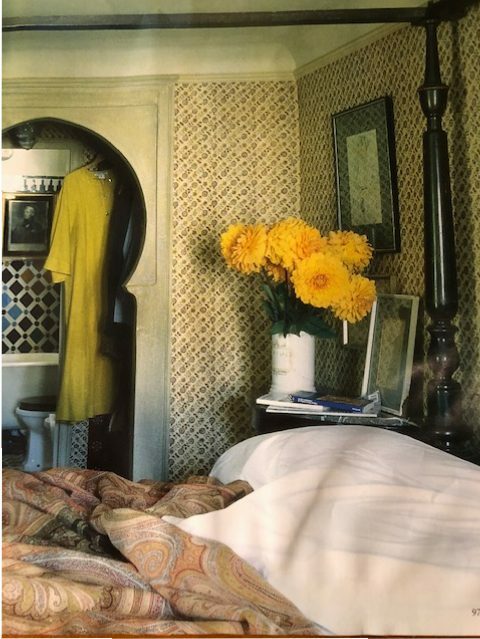 Enormous yellow marigolds enliven a corner contrasting nicely with the dark Anglo-Indian four-poster bed. Casa V can bring a bit of sun-kissed splendor to your home.